It’s hot today. Way, way too hot. I can’t get my kids to move. We started the day participating in the Derby Days parade put on by our local town and by the time we got home around noon, everyone was spent. I’ve left well enough alone, other then motivating people for a short trip to the library. 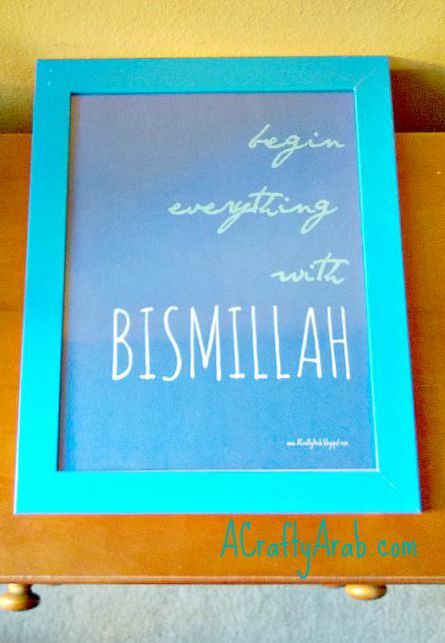 I created this print of this quote of “Begin Everything With Bismillah” after I woke up from a nap. I printed out the design while on our library trip. You can print a PDF copy here. While on our library trip, we stopped at our local consignment shop and picked up this IKEA blue frame for 99cents. Now this little reminder is next to our dining room table. I’ll show the others in my family after they have stopped being sloths. 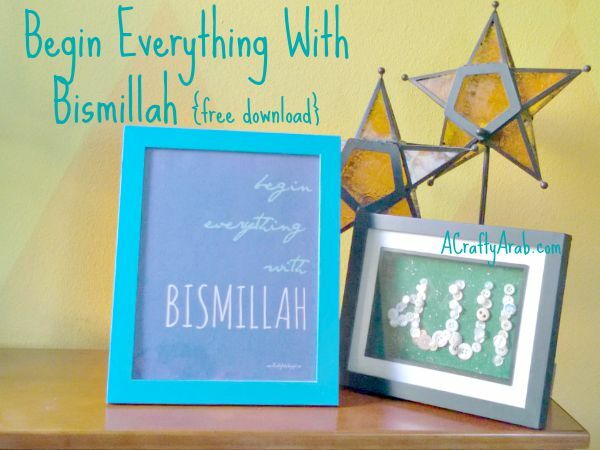 Or it will be interesting to see who notices it first at our iftar dinner.